Country Green Turf Farms does more than just sell hydroseeding in Everett. We are your full-service customer service experience. We are dedicated to answering questions, offering installation, caring for your sod with the right combination fertilizers, and generally helping your turf to thrive. Our knowledge and experience of everything from erosion control to planning and maintenance puts us at the top of the list for hydroseeding in Everett. Our friendly staff and full maintenance crew have a comprehensive understanding of our products and services. We encourage you to ask questions at each and every point in the process, if you have them. We want you to feel confident you’re making the best choice for your goals. We offer a wide scale of lawn mixture options for the hydroseeding process. Hydroseeding is one of the best ways to lay your grass seed in Everett. The seed is mixed with our special fertilizers, real wood fiber mulch, and seed that has been proven to be successful in Everett and the surrounding Northwest climate. The hydroseeding process is quick and covers large areas in far less time. With a little after-care maintenance, the seeds have everything they need to take root and thrive. Our skilled hydroseeding professionals have all the experience, equipment, and materials necessary to ensure the hydroseeding process is even and successful. 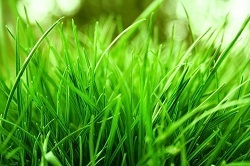 We guarantee you will have the beautiful turfgrass you had in mind. As a locally-owned, family business, we are proud of our grass seed production and seed hydroseeding application processes. As third-generation local farmers, we know everything there is to know about growing grassturf in the Everett area. You can count on us to offer the highest technology available in hydroseeding. We install and maintain your grass and offer you the best training to manage your own care for the best results. Below you will find information about our lawn seed mixtures. Contact us with any questions. We are happy to help you assess the best mix for the type of turf you would like to achieve. Want to know more about the benefits of hydroseeding or the hydroseeding process? We’re happy to help there as well. Just give us a call and we can help you with all your hydroseeding needs! SPECIAL SUN MIX – great for overseeding; best choice for most lawns; excellent fine bladed mix for full sun areas. Seed rate: 6-8 lbs per 1000 sq. ft.
SPECIAL SHADE SEED MIXTURE – contains a higher amount of Fescue for shade tolerance; not as wear tolerant as mixes with higher amounts of Perennial Ryegrass; performs better under lower maintenance than other lawn mixes. Seed rate: 5-7 lbs per 1000 sq. ft.
60/20/20 LAWN MIX – same mixture as our Perfect Green sod; for full sun or moderate shade areas; not suitable for overseeding. SPORT FIELD MIX – for full sun, high traffic areas; used primarily on ball fields and parks. LOWGROW (ORCHARD) SEED MIXTURE – popular mix with orchard growers due to lower mowing requirements; lower growing seed mix; tolerant of poorer quality soils, less water, and fertilizer (once established). Seeding rate: 220 lbs per acre. D.O.T. EROSION CONTROL MIXTURE – mixture specified by Washington State Department of Transportation for roadsides. COUNTRY GREEN EROSION CONTROL MIXTURE – erosion control mixture for slopes and/or areas where cover is not desired. Contact us today for your hydroseeding in Everett.